Android and iOS systems dominate and divide the global smartphone industry, and today we’re going to talk about the latter. 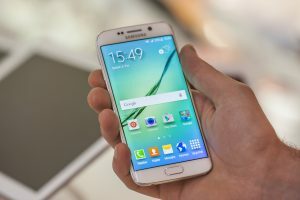 Choosing the best Android phone can become a cumbersome task, especially after seeing the many different units on the market. Continue reading as we introduce a guide on how you can choose the right Android phone for your specific needs. We’ll also throw in a list of the best Android smartphones in the Philippines, so be sure to check that out as well. Before we get to the list of Android phones, let’s check out some useful information and tips on how to choose the right model to suit your needs. After reading through our guide, you should be able to get a pretty good idea on which phone to buy. There are two main ways to purchase an Android smartphone: mobile carriers and retailers. The price and payment method will change depending on what you choose, so we’ll discuss the pros and cons of each. If you can’t afford to spend a whole lot of money in one go, then purchasing an Android phone through a postpaid plan might be a good option. You’ll be locked into it for a year or two, but it allows you to pay in installments. 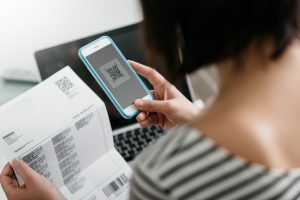 The price of the phone will come out cheaper, but in the long run, the amount you end up paying for your phone and your plan might be more expensive. If you do need the services a postpaid plan offers, it will most likely be worth it, but if you’re signing up for the plan just solely for the phone, we advise you to think about it carefully. If you do choose to sign up for a postpaid plan, there are additional perks. You will get network priority when the data network gets congested. You might get customer service priority, but knowing the reputations of some companies in the Philippines, don’t expect the service to be excellent. Some companies also offer rebates, so you can get a few hundred pesos off when you renew your plan. If you’re not comfortable with having monthly payments or just don’t need the services of a postpaid plan, then it’s better to buy a device from a retailer. It will be expensive at first, but it will give you much more freedom. These phones come unlocked or sim-free, which means you’ll be able to choose your carrier or switch to a different one any time. You also get more options when choosing an Android phone from retailers as opposed to getting the device from a carrier. Different smartphones, of course, have different specs and features. It’s also important to understand your needs or wants before making a purchase. 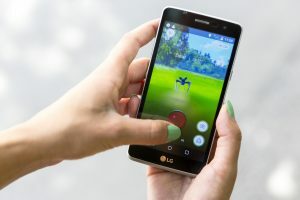 If you love playing mobiles games, such as Mobile Legends or Pokémon Go, then you should choose an Android phone with at least 3 GB of RAM (Random-Access-Memory). Simply speaking, the more RAM a phone has, the better its capacity for handling heavy applications will be. A phone with low RAM would result in constant lagging or applications suddenly closing. You also can level up your gaming experience by choosing a phone with a large screen, high resolution, and great sound quality. We recommend choosing a phone with at a 5-inch display or larger. Of course, mobile gamers aren’t the only type of users of Android phones. For those who love taking photos and videos, there are a few things to consider: megapixel count, internal storage capacity, and startup time. For good image quality, look for phones that offer at least 8 megapixels. Of course, the higher the megapixel count, the more memory your phone will need, so make sure to check how many images a phone can store. An internal storage capacity of 32 GB should be enough; however, if you plan to record 4K videos, then consider buying a unit with 64 GB or 128 GB storage. Camera startup speed is also important. The last thing you’d want is to miss that precious moment because the smartphone’s camera app wasn’t ready yet in time. You should be able to take a photo within 1 second of clicking the camera icon. Most Android phones do offer expandable storage options in case the internal storage falls short. Buying a microSD card or an OTG (on-the-go) storage device are excellent options to expand storage. However, do be careful as there are some Android smartphones that don’t support microSD cards. Power smartphone users should definitely consider buying an Android phone with a long battery life. Phones with a battery capacity of 3,000 mAh should be enough to get you through the day, but you might need more than that if you like to play games, shoot photos or videos, or frequently do video calls. Aside from the battery life, note that there are some phones that support fast charging. These are suitable for users who always run out of battery and don’t have much time to charge. 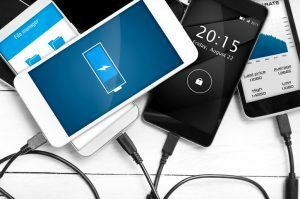 It’s great if you like to use lots of battery-sapping features—since you can charge more frequently and quickly with a fast charger, as opposed to the default charging brick that comes with most units. If you want flexibility in using your smartphone without having to go through the trouble of connecting cables while charging, then you can go for the wireless charging route. Just keep in mind that not all Android phones are compatible with wireless charging docks, so always check your phone’s specs. Now that you’ve read through our “How to Choose an Android Phone” guide, it’s time to check out some of the best Android smartphones on the Philippine market. We’ve already checked each device’s specs, features, and price to match different needs. If you’re up for a midrange phone that offers features and specs that are worth its price tag, then you might want to check this Android smartphone out. It does have all the basic necessities you’d find in a phone from this price point like a respectable 16MP rear camera, fingerprint scanner, and the Android 8.0 Oreo system. It’s not without some caveats, however, like underwhelming speakers and a jittery autofocus system. Still, this device is ideal for any person who wants some pretty good features at a good price point. One immediate feature that you’ll find missing on this device is its camera. However, fire up any application that uses the camera and watch as it slides up from the center. 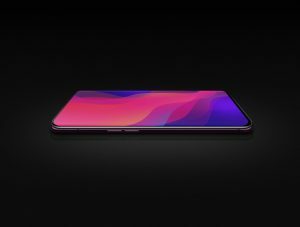 The absence of a camera takes away that notch at the top of the screen, which gives the device a sleek infinity display. 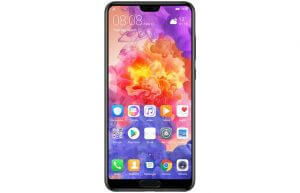 Power users can rejoice because this phone has a long battery life–its system prevents third-party apps from running unnecessarily in the background. Since this phone has a tendency to slide off of most surfaces, be careful where you place it. You’d normally see phones with features like a large display, dual rear cameras, face recognition, and an Android 8.0 Oreo system in mid to high-end devices. 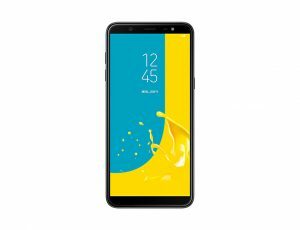 This Android smartphone, on the other hand, likes to shake up the competition by having those features in a budget-friendly package. It also offers an above average battery life and a 16MP camera, but its screen resolution falls a bit short. 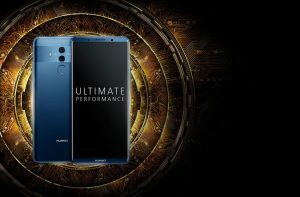 Ultimately, this phone is for users looking for an entry-level unit that can give them a taste of some midrange to high-end features. Power users can rejoice because this smartphone comes with a 5,000 mAh battery. With that much capacity, you can play games, take photos and videos, surf the internet, and you’ll still have enough to text or call your significant other before getting home. Its 5,000 mAh battery isn’t just its charm point as it also comes with 6 GB of RAM and an internal storage of up to 64 GB. Lastly, but definitely not the least, this device comes with Flash Charge technology for faster-than-average charging speeds. This phone boasts a 24MP front camera which allows you to take amazing selfies. It also has two nano sim card slots, in case you need it. Just make sure you take a power bank with you because it might not last you long. In case you enjoy watching videos and playing games on your phone, this device has a 6.3-inch display, a resolution of 1080 by 2200 pixels, and 4 GB of RAM, so you’ll have everything you need for a great viewing or gaming experience. If you’re in the market for a camera that works better than average, but you’re not looking to use it for professional reasons, then this phone is definitely worth considering. First, there’s the 2x optical zoom that helps you get a bit closer to your subjects without walking up to them. Next, its dual 20MP/12MP rear camera setup captures great color reproduction in photos and videos. There are other smartphones with better cameras out there (even from the same brand), but they tend to be more expensive. We do have to add that this phone doesn’t have an audio jack and it also doesn’t support wireless charging. Let’s face it–most of the Android phones on the market provide average or subpar speaker systems. Thankfully, that’s not the case with this device thanks to its Boombox Speaker. Even though it’s not as powerful as a dedicated Bluetooth speaker, you’ll definitely notice the deep bass in tracks. Aside from the punchy bass, the device also has DTS:X 3D Sound to improve quality for wired headphone connections. Couple that with a 32-bit HiFi Quad DAC and you get “eargasmic” experiences without any unwanted noise. Audiophiles who want more out of their phone’s audio performance will definitely get a kick out of this device. This device features a Quad HD+ 5.8-inch Super AMOLED display, which is one of the best screens you can get. It shows top-of-the-line image quality with superb brightness for viewing photos, video clips, and full-length movies. 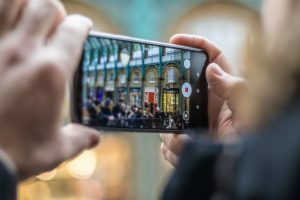 In addition to the camera, the Galaxy S9 features augmented reality face capture technology, which is now making waves in the handheld tech industry. So if you enjoy sending wacky cartoon versions of yourself to friends and family, this smartphone is a great choice. This phone has one of the best smartphone cameras in the world. It has 3 rear cameras, one even boasting a 40MP sensor. It also shoots well in lowlight conditions thanks to its capability to shoot photos at ISO 102 and ISO 400. Amateur camera enthusiasts who don’t want to be held back by dark environments while taking great photos should definitely consider this device. It’s also water and dust resistant for additional durability. 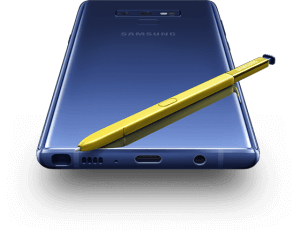 The latest device in a popular series of Android phones packs bigger specs and features than its predecessors. It now carries a larger 6.4-inch screen, 4,000 mAh battery, and beefier storage options (up to 1 TB). Its Exynos 9810 chipset coupled with 6 GB of RAM allows your phone to glide through applications with speed–even when multi-tasking. Also, its camera can shoot very fluid slow motion videos at a jaw-dropping 960 frames per second (FPS) at 720p. It may look very similar to its predecessor on the outside, but its hardware shows definite improvement. Technology advances so quickly that new smartphones are launched every year. Whether you’re a gamer, a photographer, or just a regular user, there’s definitely a phone for you, and we hope our guide has helped you figure out what kind of smartphone you want.